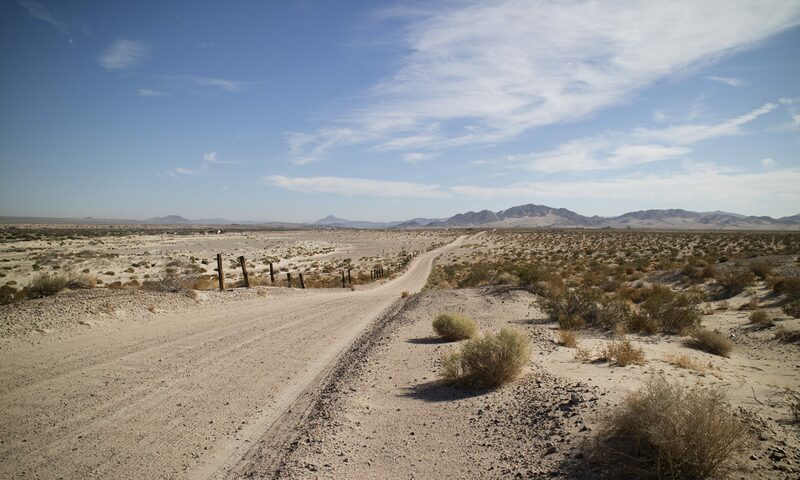 I went driving today to my club’s claims in the Johnnie Mining District in the hills outside Pahrump, Nevada. I never made it. 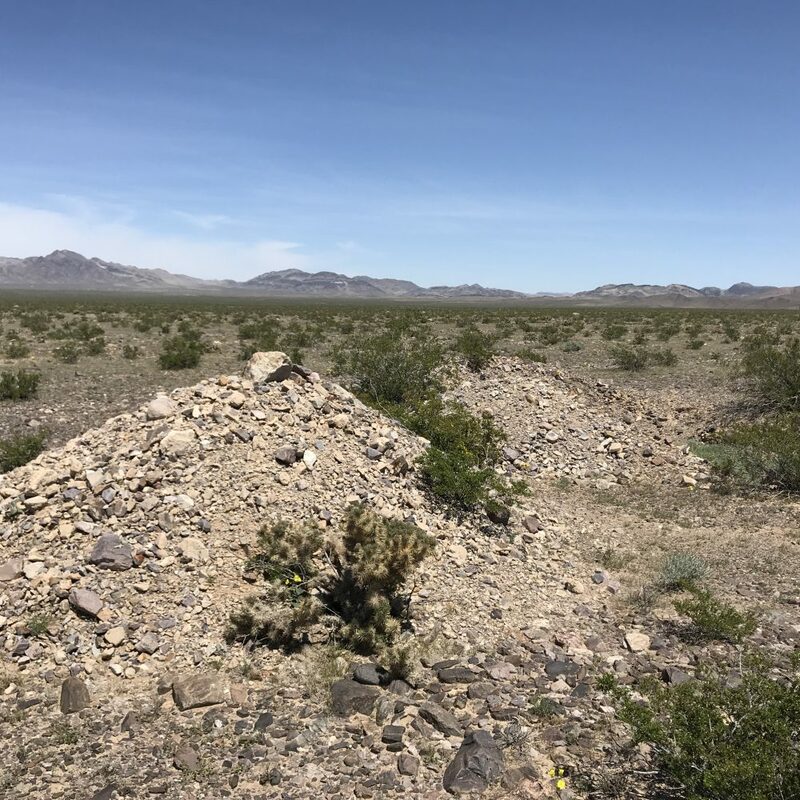 Instead, while driving HWY 160 west toward Pahrump, I thought about all the BLM land to the south of that road that may have not been recently prospected or rock hounded. The reason? 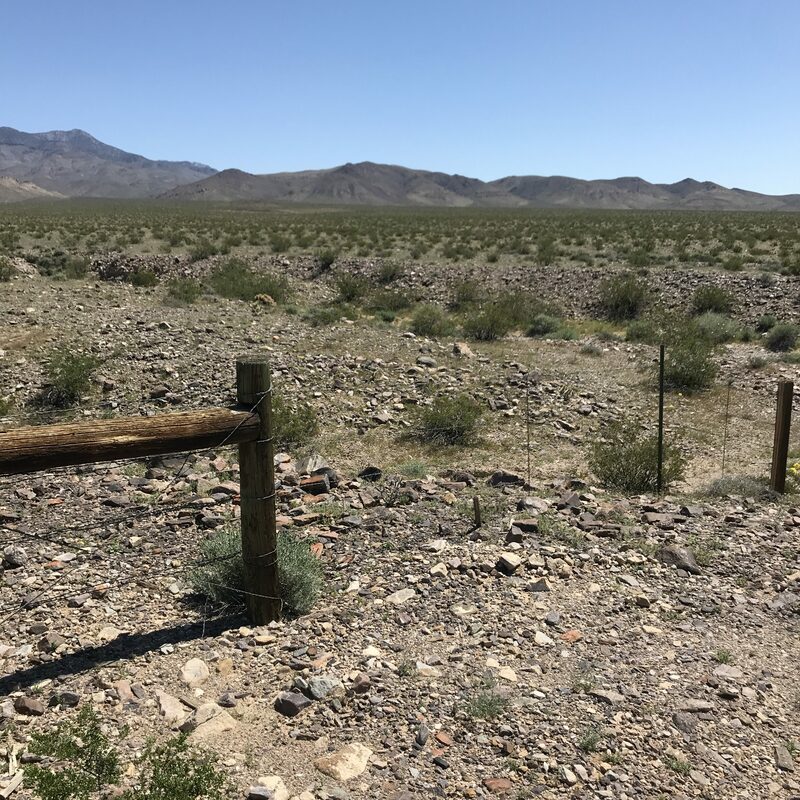 A sturdy and nasty barbed wire highway fence with few breaks in it, only one faint road into the area in several miles, and few good pullouts to park. That’s enough to deter most prospectors even if the land is open and the ground unclaimed. Compare that to Crystal Road, which strikes north from HWY 160 about four miles from I-95. No highway fence on either side. Fairly soon after leaving HWY 160, 15 to 20 large piles of dirt appear somewhat randomly over a mile or so to the east of Crystal Road as one travels to Crystal. Backhoe produced. Someone searching for gold. I looked over some of these piles and their trenches. Must have been fairly old workings as BLM now requires a plan and permit to operate heavy machinery on a claim. Unless some locals went rouge one day, possibly sampling on a large scale. While I didn’t see any claim markers I felt uneasy about investigating further. Normally I would break out my metal detector or a bucket to take some rock and gravel. The more rural you get, however, the more testy locals become. I did have my laptop and there was cell coverage. I could have pulled up LandMatters to see if the area was under claim. But all map drawing websites are painfully slow with an average cell connection. When I got home I researched the area a little. That ground was indeed unclaimed, with the only a large set of claims around the rough settlement of Crystal. If I go again to sample I will print out some maps first. In thinly populated areas, any truck parked on the side of the road gets attention. A person with a metal detector, a pick, and some five gallon buckets may be the highlight of the day for a nearby resident. Word will get out fast. If you prospect, you must handle the attention it attracts. When I was last at my club’s claims, a fellow member pointed out the view east to I-95. “There’s gold all the way to the highway.” Hmm. Maybe washed from the hills. But in paying amounts? Some people think so, judging by those exploratory diggings and the fact there are so many claims around Crystal. With temperatures now climbing, and my book deadline getting closer, I won’t be going back soon. But I will keep wondering about the area. 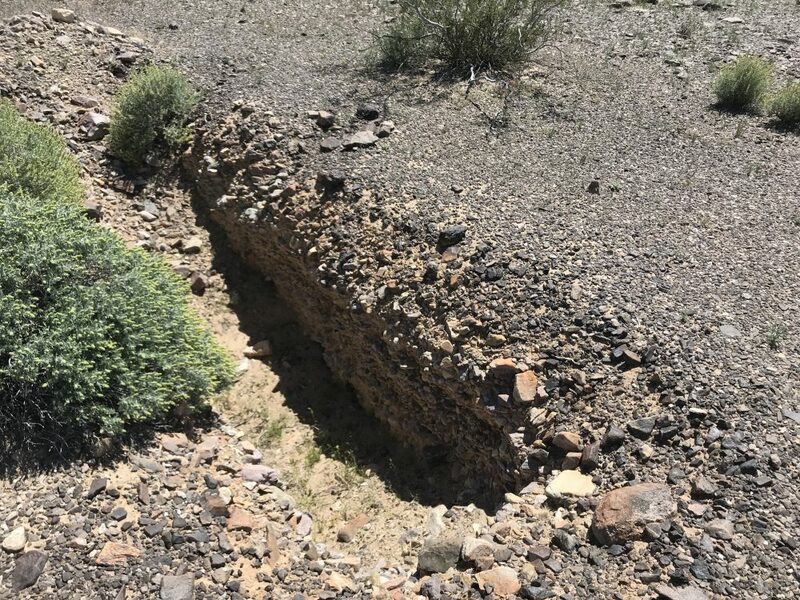 And wondering what lies on the other side of HWY 160, the same looking ground but prospecting seemingly defeated by a wire fence. There is much to explore. Okay, I will admit it. I got under that fence to sample a wash. Brought the gravel home. I don’t hope for gold when sampling blind, I look for black sand. Hardly any. But I didn’t get out my Whites GMT, which has a black sand tracking feature. It produces a numerical readout to close in on areas with a greater likelihood of paystreaks. It’s far easier to search a gravel bar or a desert wash than with any other method. But I ramble.